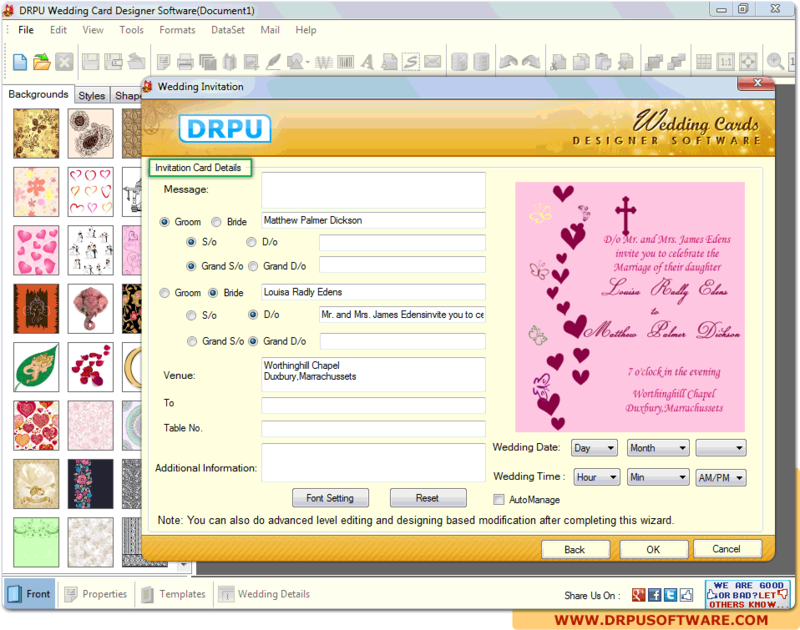 Select one of the above option to create wedding invitation card. 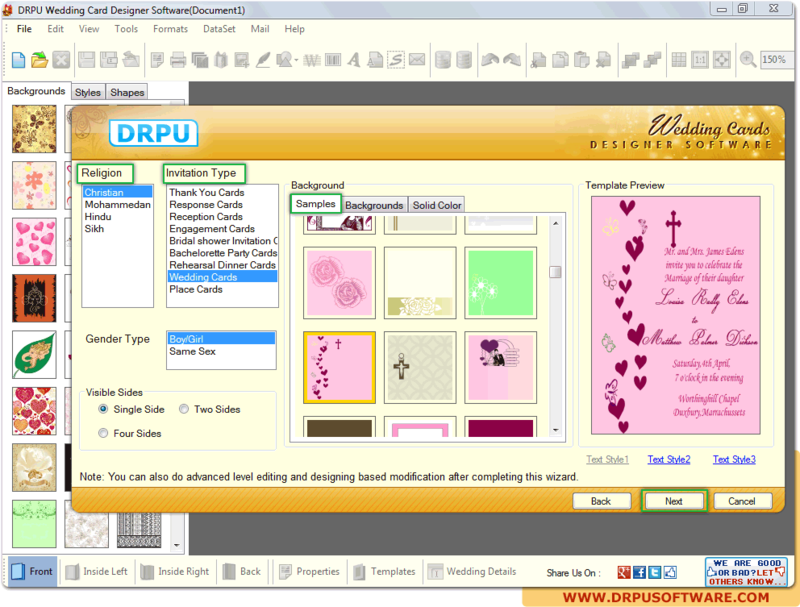 Select religion, invitation type and background from given samples. 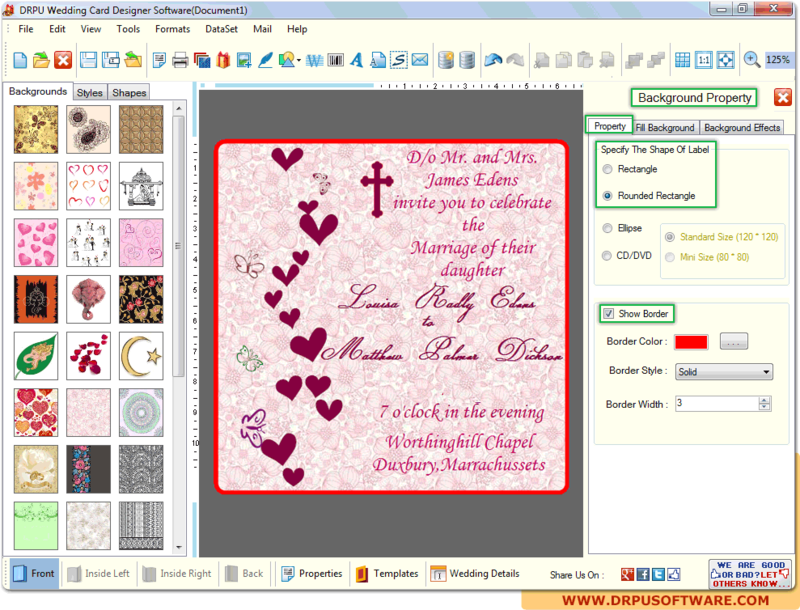 Enter invitation card details with date and time. 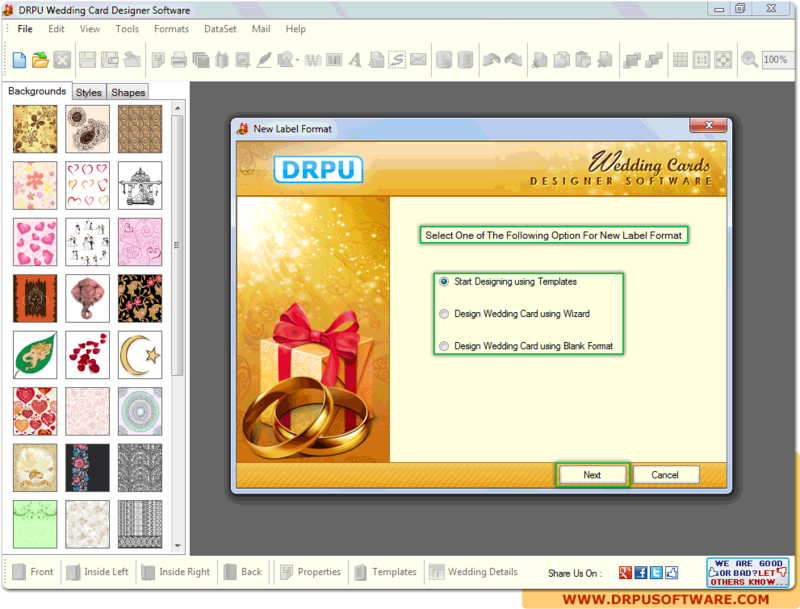 Background property allows user to select shapes and border of desired wedding invitation card.